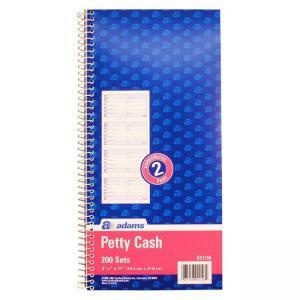 Spiralbound Petty Cash receipt book offers two-part carbonless (Part 1, white; part 2, canary). Contains 50 pages with four receipts per page. Stop card included to place between sets to prevent write-through. 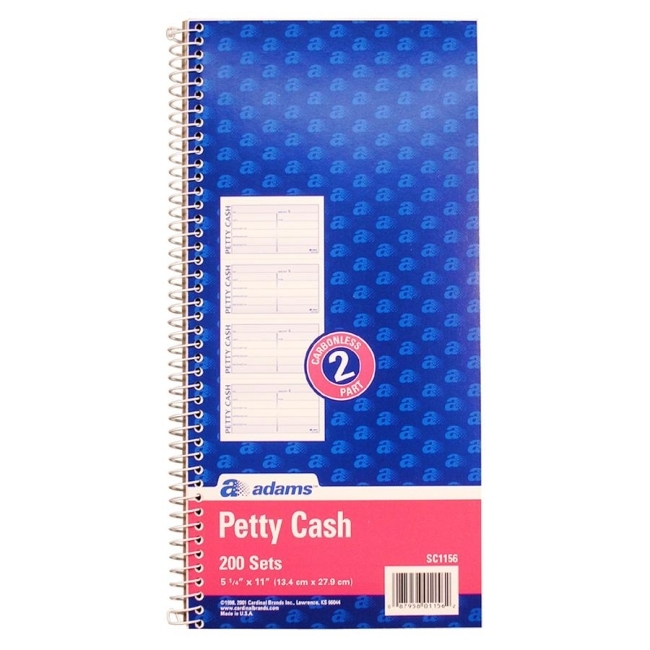 Use for documenting petty cash paid out.